I know some of you might be perplexed by the title and thinking, wasn’t crypto invented to shun banks and make a new system. Well, it was so, and it is still so. Crypto, specifically Bitcoin was born to create a reliable and trustless alternative to traditional banking. But lets’ be honest, without the existing banking structure Bitcoin couldn’t have reached the heights it is today, so quickly. Access to credit cards and debit cards gave the opportunity to millions of investors to invest in Bitcoin. But that’s where their approach also went wrong. Bitcoin isn’t just an investment vehicle that you buy low or sell high, it is much more, and many of us don’t realize this. But banks have realized, Bitcoin and crypto are an existential threat to them and that’s why many banks around the world have stopped catering to crypto/Bitcoin businesses. Especially, the large banks are quite skeptical about the technology because they have never faced such direct competition from the internet industry on the subject of money. Several UK, Australia, US banks have now banned using credit/debit cards to Buy Bitcoin or other cryptocurrencies. That’s why now cryptocurrency users need crypto or Bitcoin-friendly banks, more than ever for their fiat off & on ramps. Because of the denial of the existing infrastructure, many investors, as well as crypto believers, are looking out for more friendly solutions to interact with cryptocurrencies. Certain pioneers have started building the new infrastructure while in some places old small banks are trying to become more open-minded about this technology. Wirex is a cryptocurrency wallet provider and a crypto-friendly banking service for buying/selling cryptocurrencies based out of UK, London. The first Wirex currency account available will be based in the UK — available to dozens of countries around the world — with a British account number and sort-code, 100% secure and fully registered with the UK Financial Conduct Authority. With this card whenever you will make in-store retail purchases, you will get 0.5% cash back in the form of BTC (Wirex calls it as cryptoback). 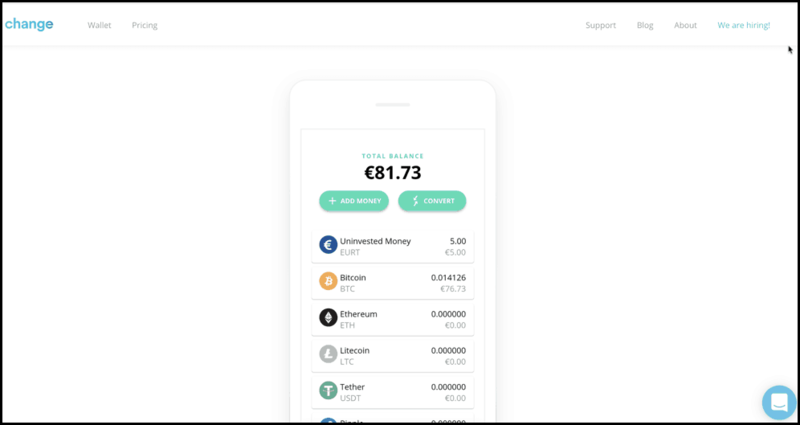 Buy, store and manage your crypto (BTC, LTC, XRP, ETH) and traditional money (GBP, USD, EUR). Add funds using a credit card, debit card or bank transfer. Instantly exchange between crypto and traditional currencies at live rates. So you see this is a win-win situation for everyone. You can join Wirex from here. Bonus: Also, do read how to invest in Bitcoin in 2019 with Wirex & other services !! Bankera will be like the old brick and mortar banks only but built on the new technology of blockchain/AI combined. The process is still underway, and it is likely to go live soon in a year or so. Monaize is an integrated banking platform for crypto and bank account users. It is a European e-banking platform that has a mobile-first approach intending to provide current accounts for freelancers and small businesses. 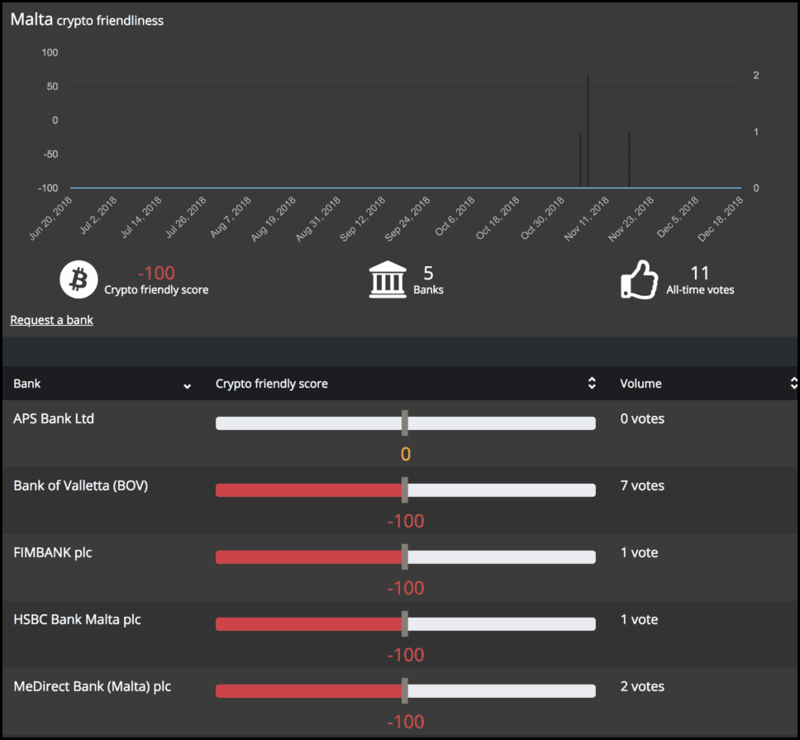 They also have an instant KYC check process in place to onboard businesses, and it hardly will take a few minutes to do so, in comparison to traditional banks. Monaize will also integrate with other third-party services such as professional insurances, payment solutions, and crypto wallets. 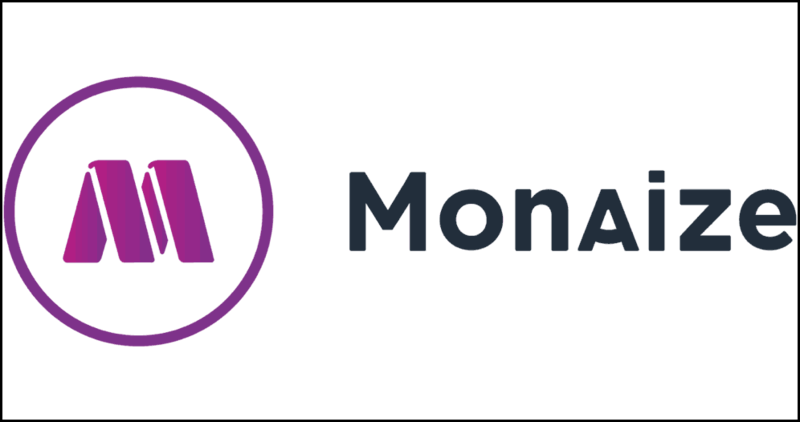 Monaize also looks to functions within the current banking infrastructure while opening itself up to the blockchain community and sensitizing users, small businesses, to this exciting new technology. Monaize will be expanding its services to the United Kingdom, Germany and the United States for 2019, before rolling out to the other countries in the world. USAA is Texas, USA based financial service company for US military citizens. It is a fortune 500 company catering to active, retired and honorably separated officers and enlisted personnel of the U.S. military. It also allows civilians to make their bank accounts with them and has invested $150 million in Coinbase making it easy for the USAA bank account holders to interact with Coinbase’s Bitcoin account. Note: Information related to Bitcoin wallets is provided by Coinbase and is accurate at the time retrieved. USAA does not independently verify the accuracy of this information. Plus USAA is insured by the FDIC so that you can remain at ease. 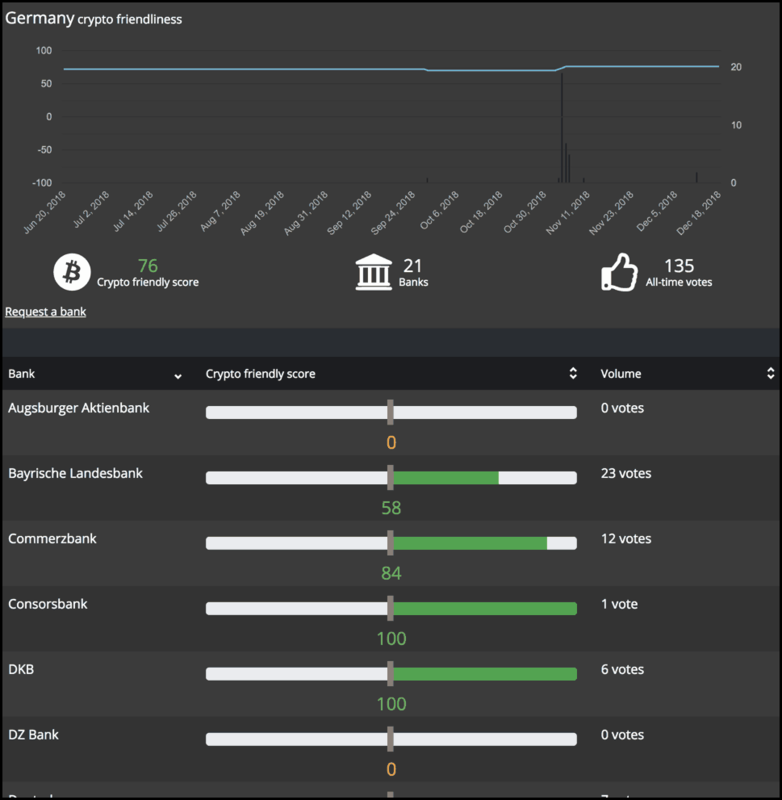 Change is another crypto friendly bank in Europe, but it is in the making. Change’s crypto wallet is in place, thanks to their massive funding ($17.5 million) that they received. They also provide in-app trading of Bitcoin, Ether, Litecoin and Ripple, that too free of commission. They have their iOS and Android apps in place, but right now only European customers can use it. They also will be launching their native credit/debit cards, obtain the European payment license, make fiat wallets & IBAN numbers, and finally to get a full-fledged banking license by 2020. 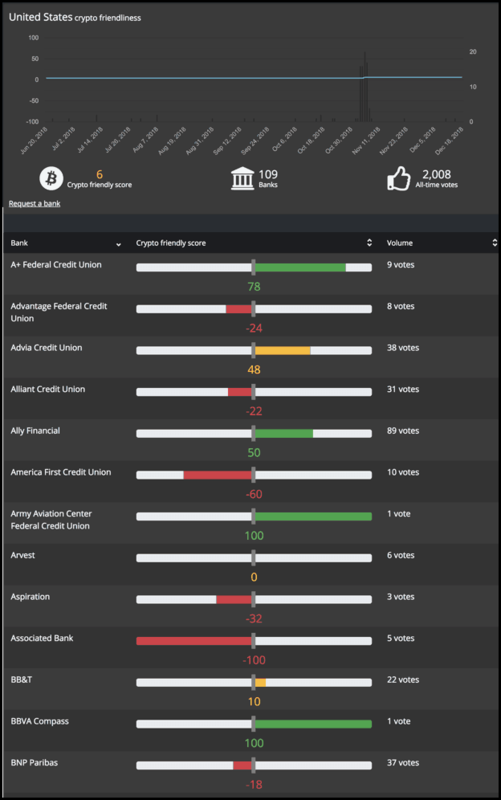 So these were some of the crypto/Bitcoin-friendly banks that in the making or live. And there have been advocacy for more such Bitcoin/crypto friendly banks around the world and Wyoming; a western US state is trying to become a hotbed for such banks. Wyoming is eyeing to create friendly regulations to form blockchain friendly banks to lure Bitcoin Startups. 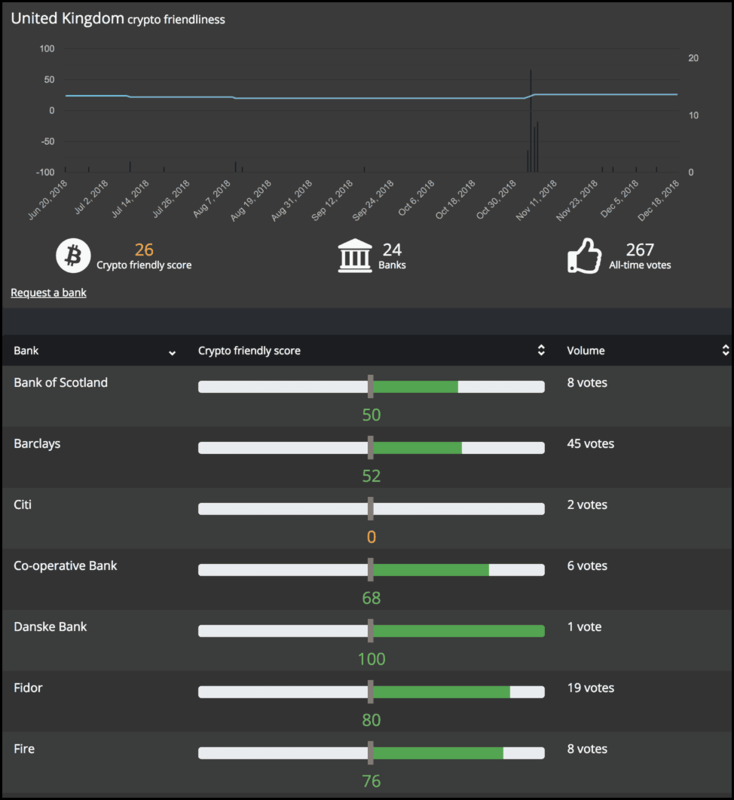 And the main difference between such crypto banks and traditional banks will be, while conventional banks operate on fractional-reserve lending, Wyoming’s crypto bank will be 100% backed. It means it will maintain a cryptocurrency-to-liquid-funds ratio of 100%, essentially making it a “money warehouse” or a “transfer institution” but for crypto-related services only. Caitlin Long, a 22-year long Wall Street veteran is driving forth this movement and ultimately be building such first bank in Wyoming for crypto companies. And with that said, I will take leave for today, and I hope this information on crypto friendly banks helps you make better decisions. Lastly, do share this post with your friends and family, who want to know about such banks! !